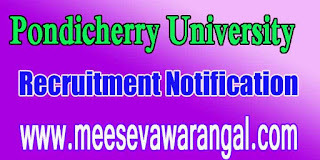 Pondicherry University Notification invites Application for the post of 04 Library Assistant on contract basis. Apply Online before 08 December 2016. Educational Qualification - Degree in Bachelor of Library & Information Science from recognized university. Selection Process - Selection will be made on Written test. Application Fee - Candidates have to pay Rs. 300/- through DD in favour of the Finance Officer, Pondicherry University payable at Puducherry from any Nationalized bank. How to Apply Vacancy - Interested Candidates may apply in prescribed application form along with relevant documents send to The Registrar (i/c.) 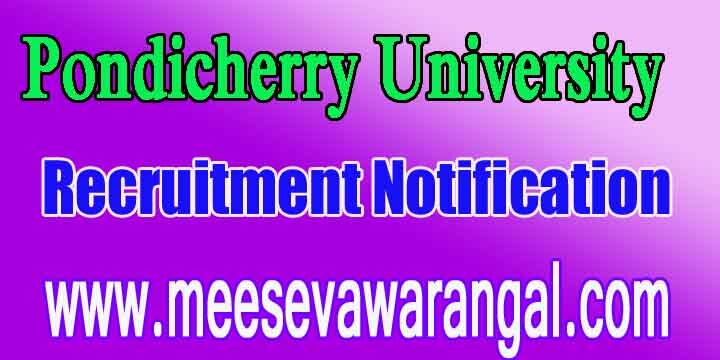 Pondicherry University R Venkataraman Nagar, Kalapet Puducherry – 605 014, India Phone : 0413-2654202 on or before 08.12.2016.